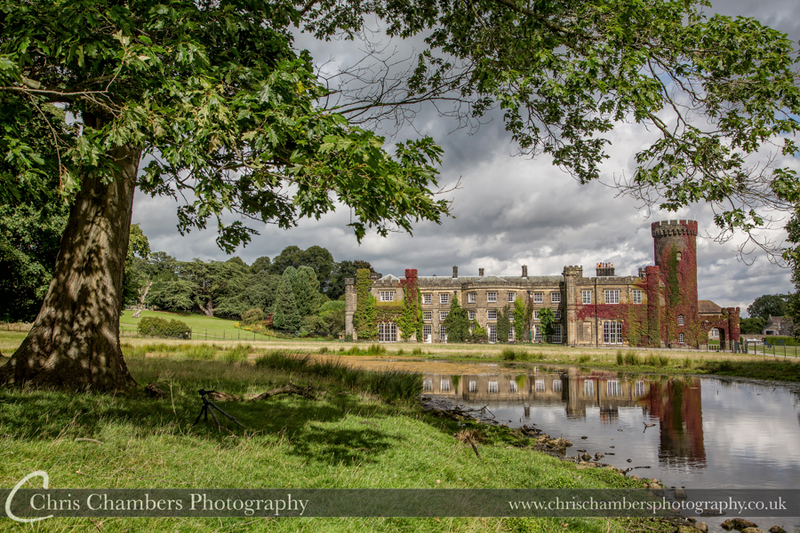 The stunning Swinton Park wedding venue is an exclusive luxury castle hotel near Masham in North Yorkshire. 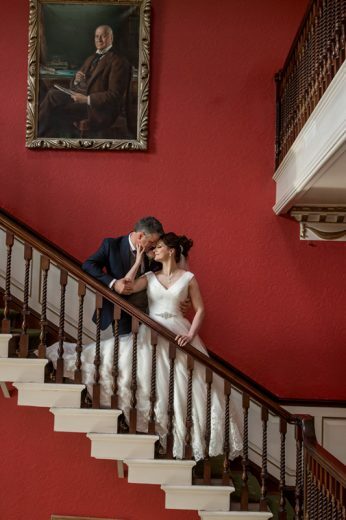 Swinton Park one of the highest rated hotels and wedding venues in Yorkshire and Cumbria, the vast grounds and excellently preserved interior make Swinton Park ideal for your wedding photographs. 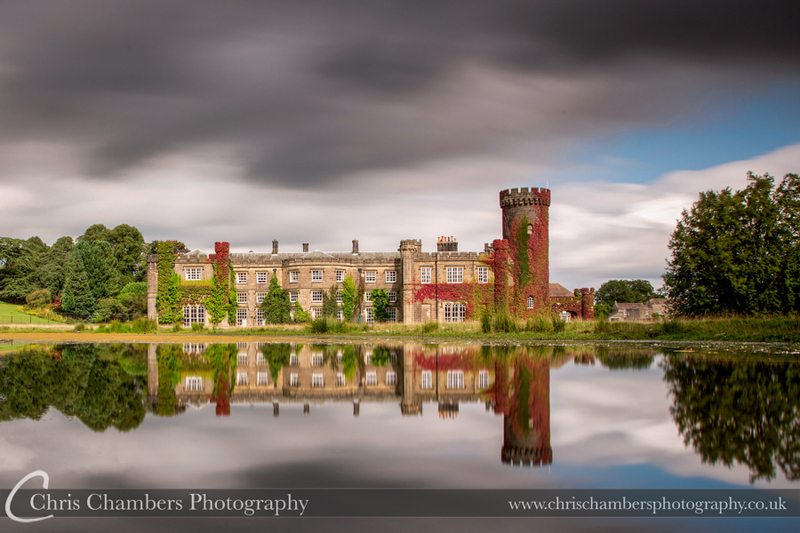 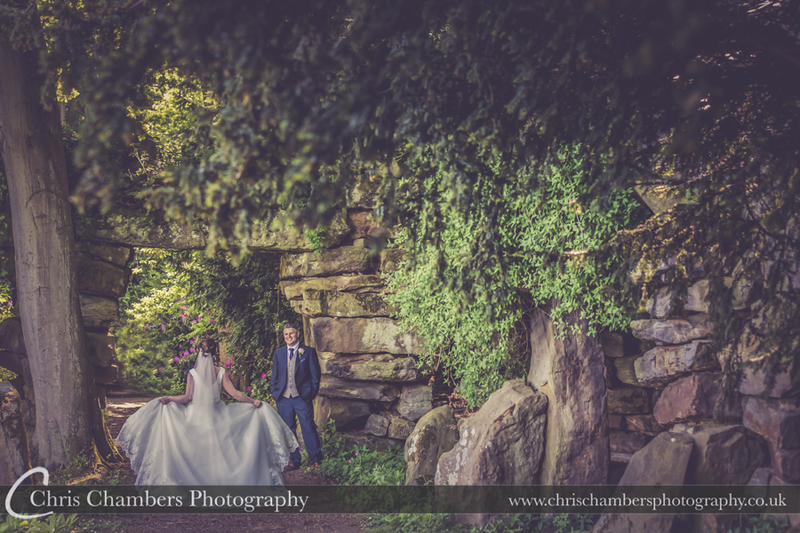 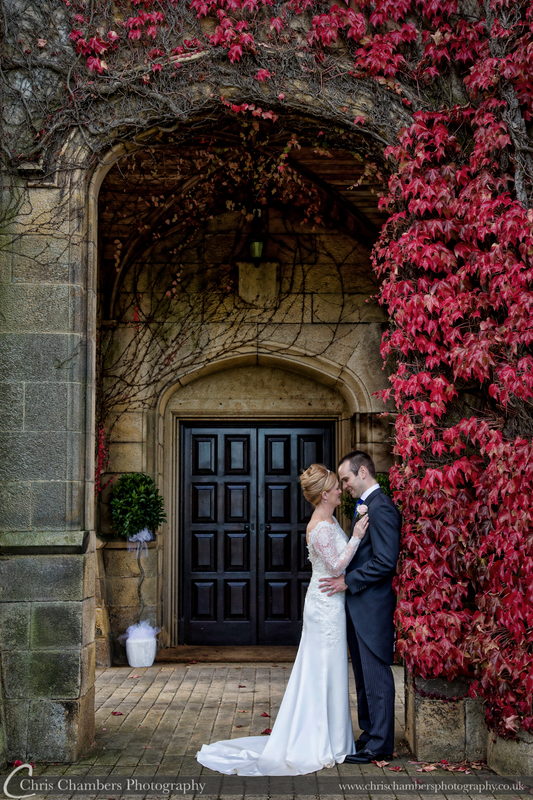 The beautiful grounds of Swinton Park allow for plenty of photographic opportunities, regardless of the weather. 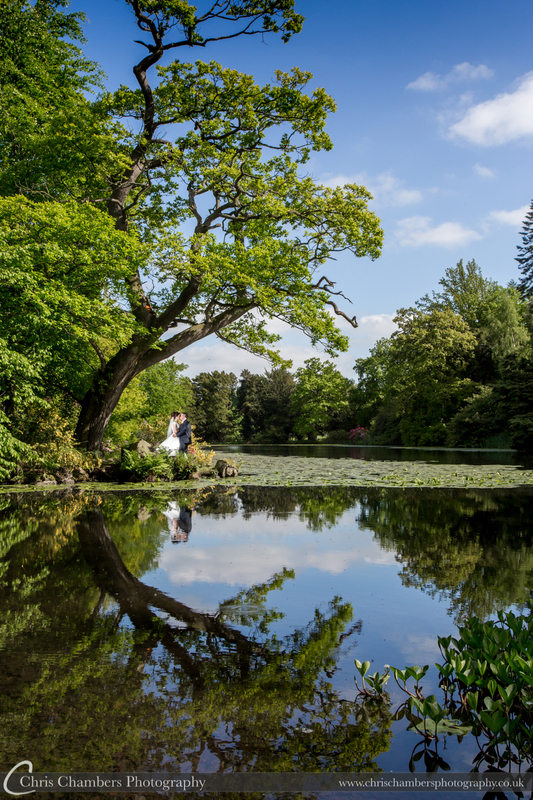 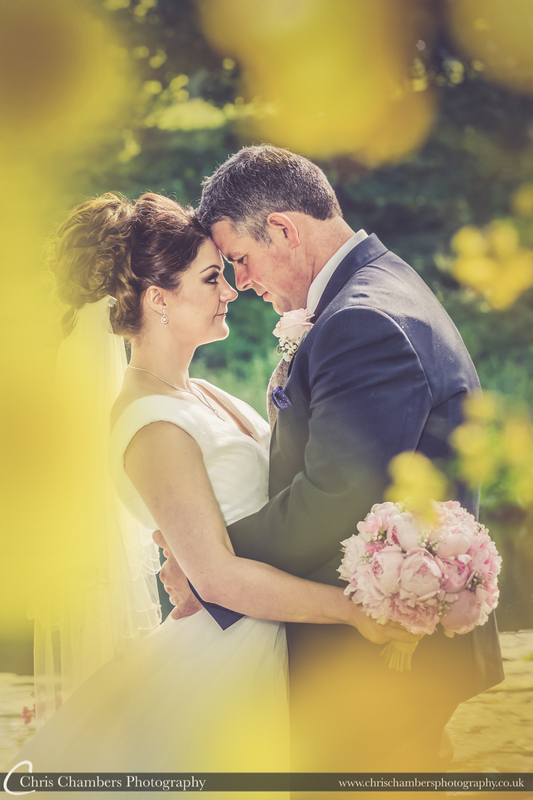 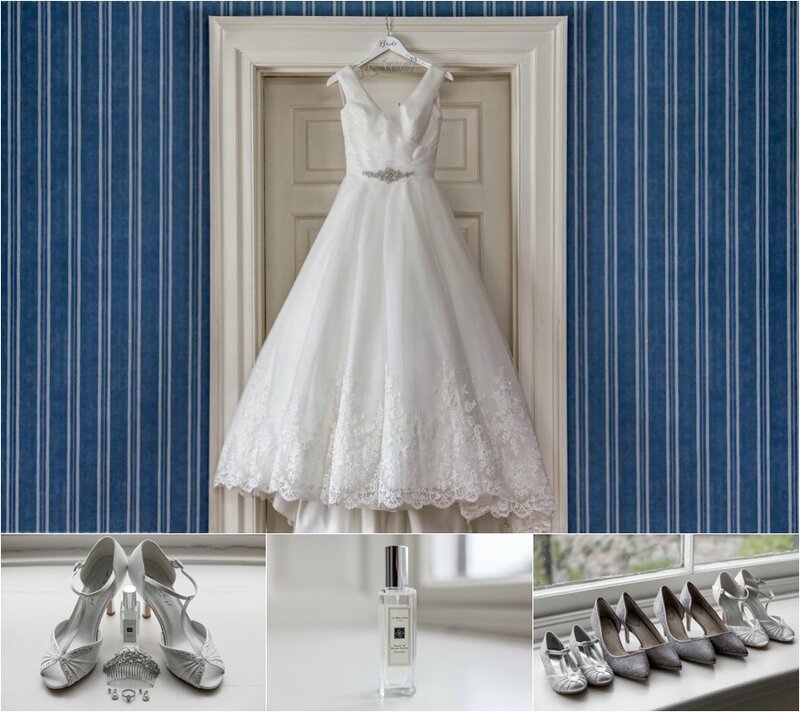 We photograph a number of weddings per year at Swinton Park in all seasons and all weather conditions so as an experienced Swinton Park wedding photographer you can be assured that we are aware of the best locations and wedding photo opportunities regardless of the weather. 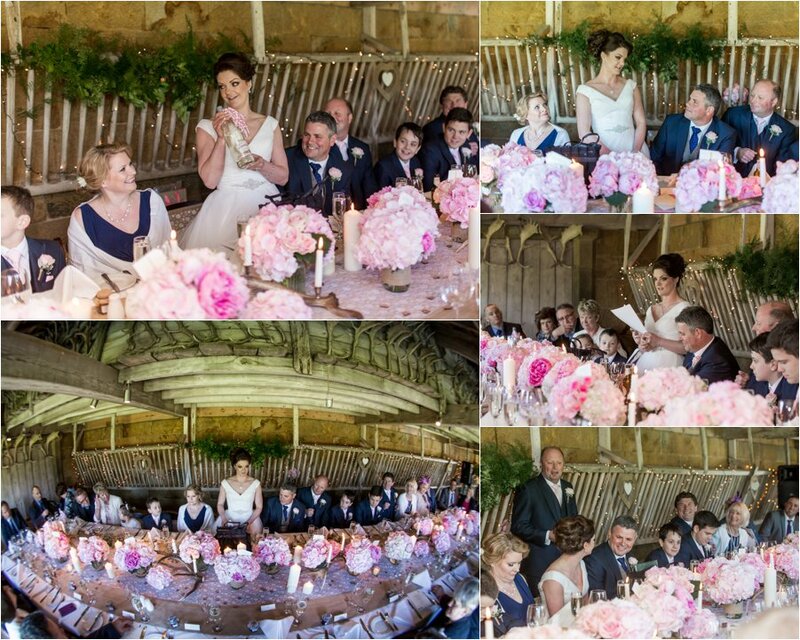 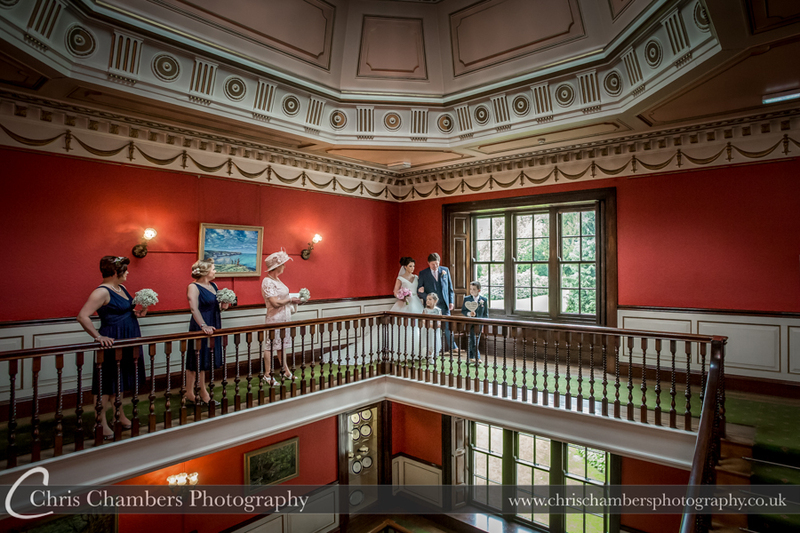 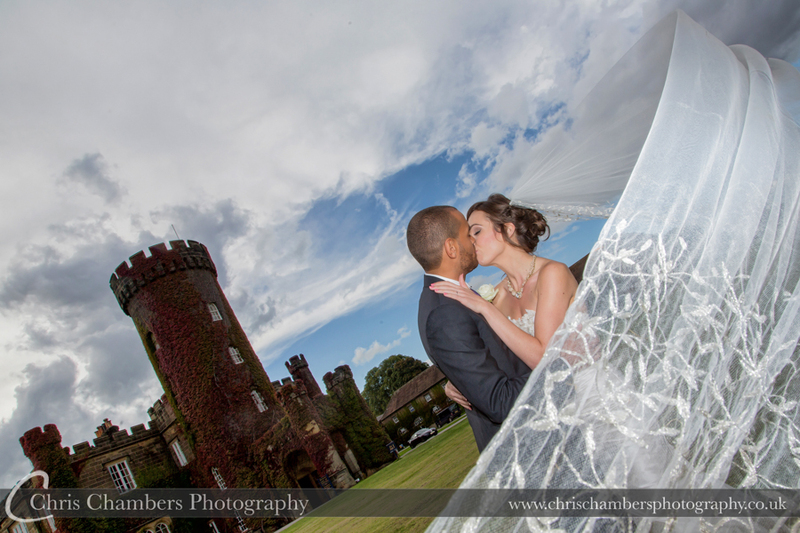 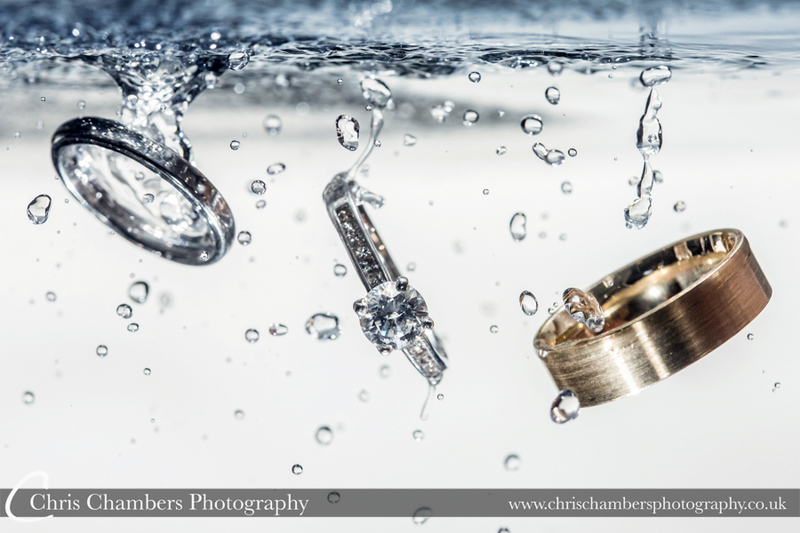 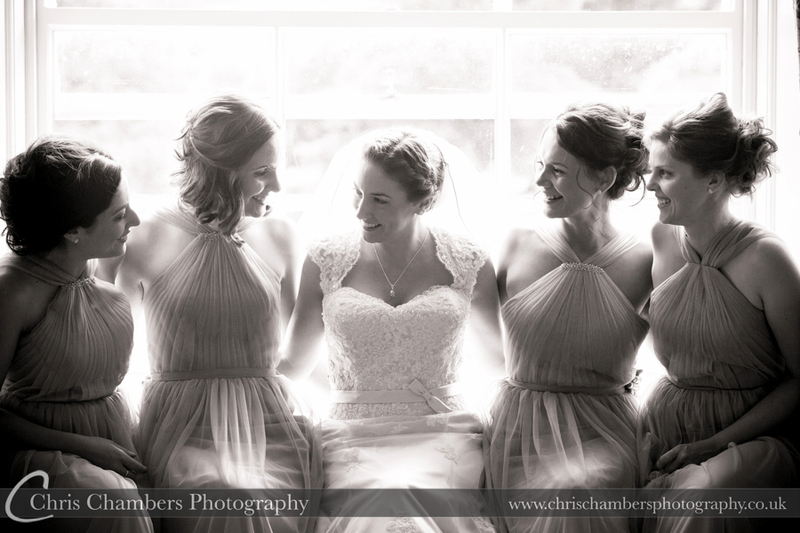 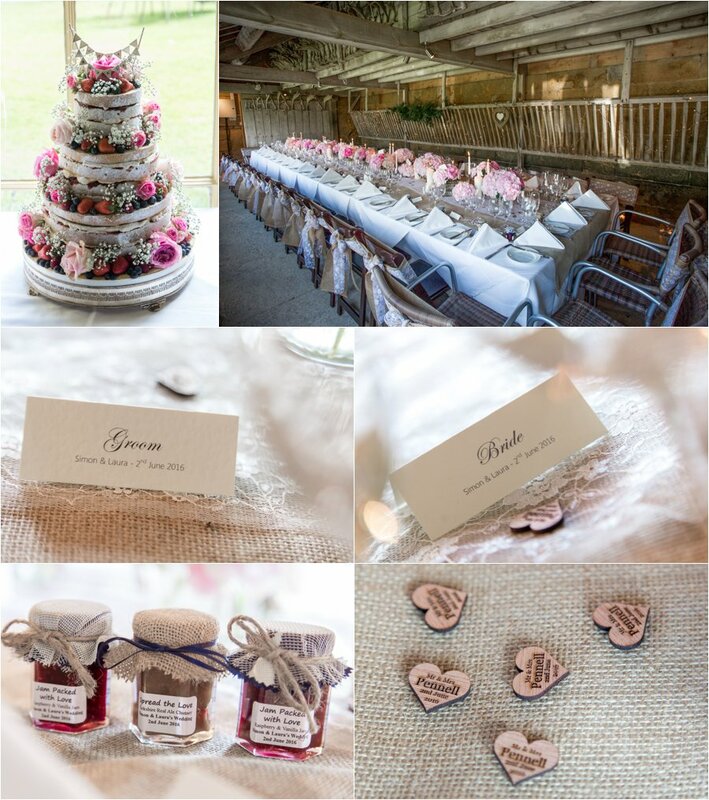 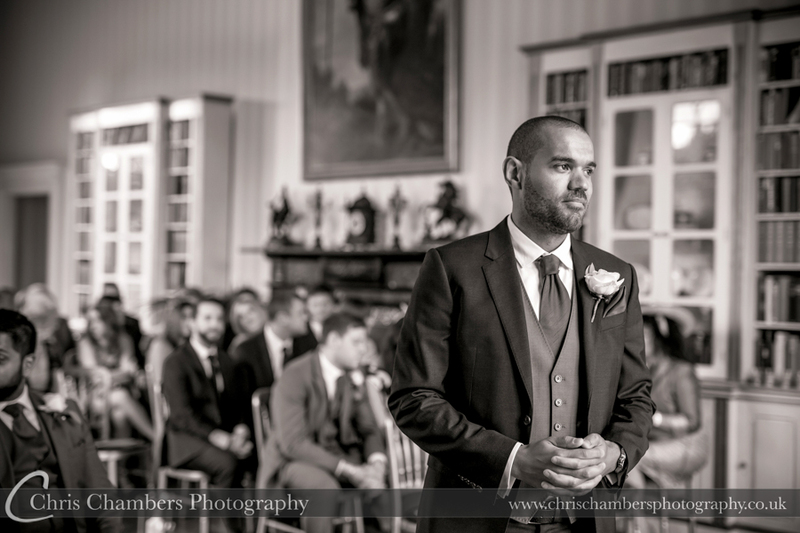 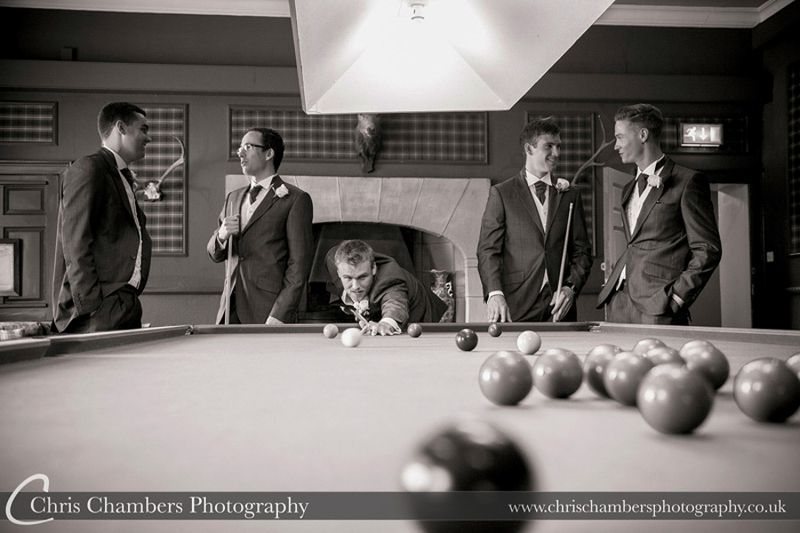 A selection of weddings photographs from Swinton Park. 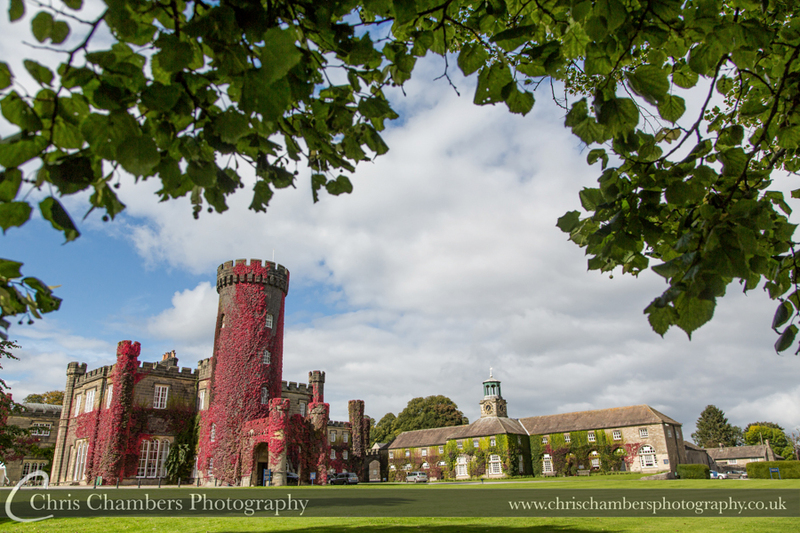 September and the Swinton Park Turret comes to life with deep red ivy. 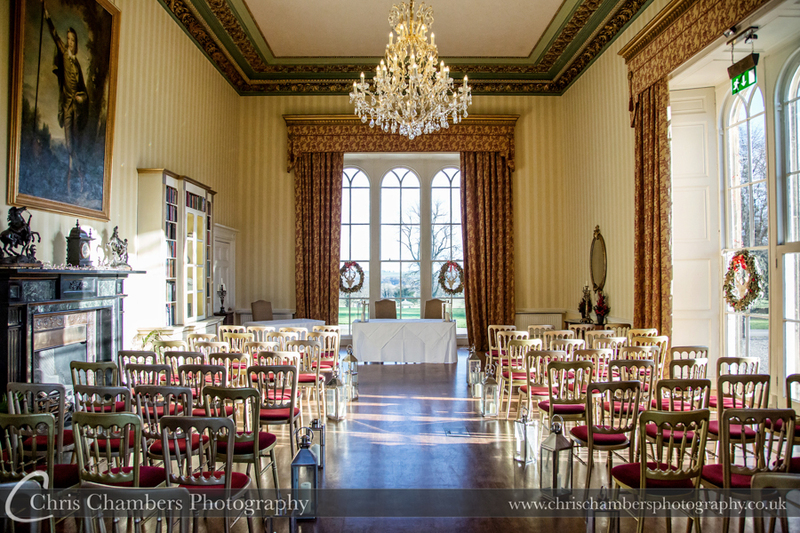 Swinton Park Library set for a civil wedding ceremony. 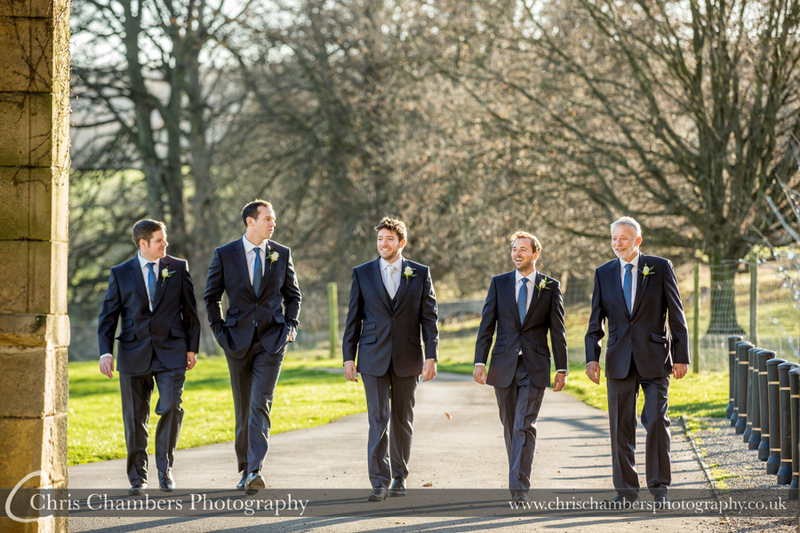 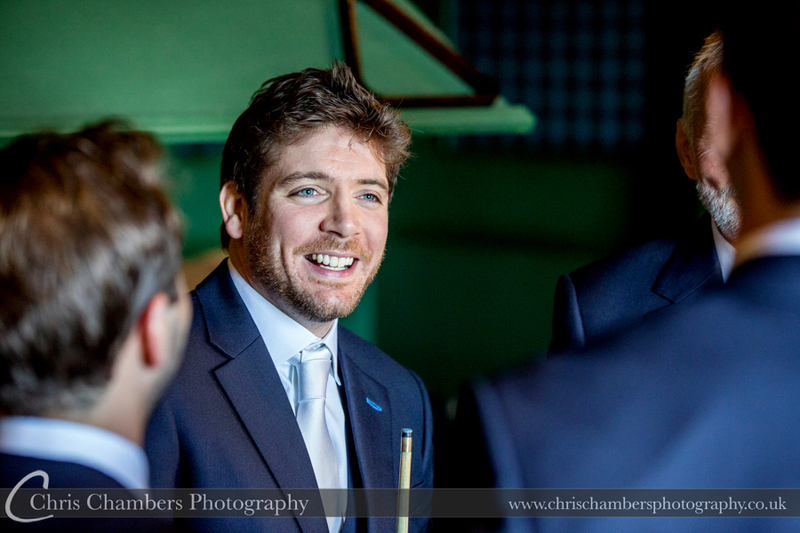 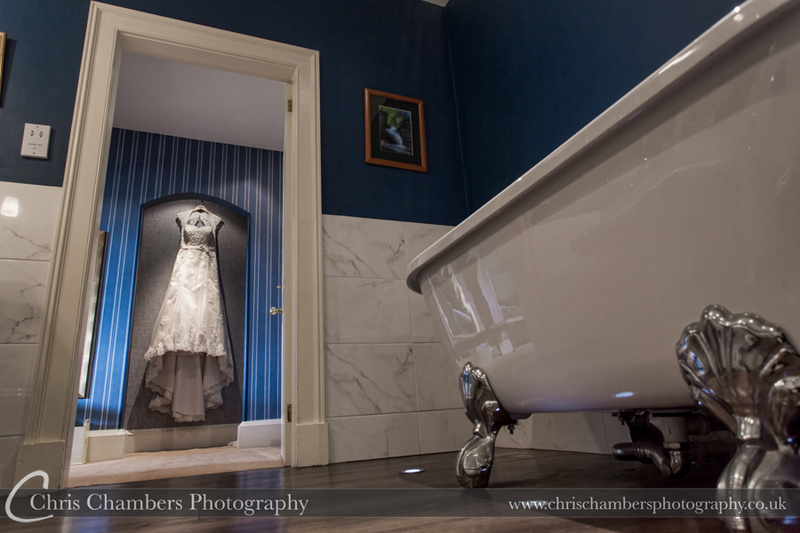 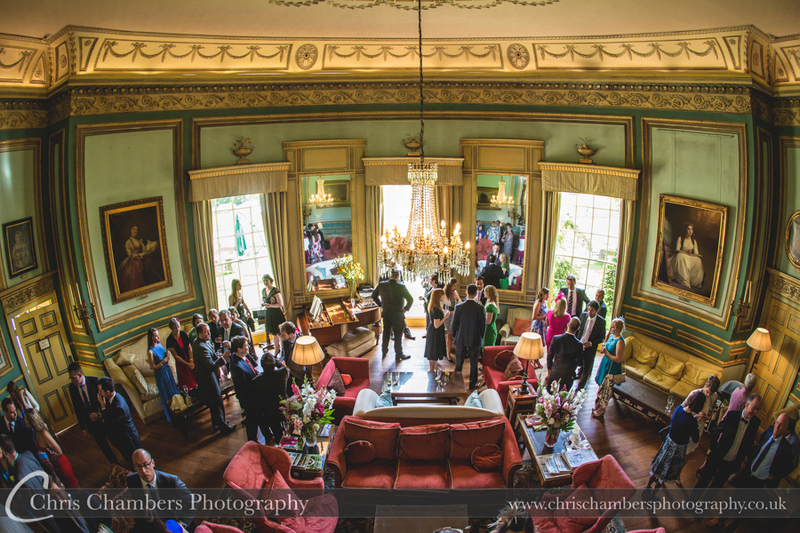 Wedding photography at Swinton Park, North Yorkshire. 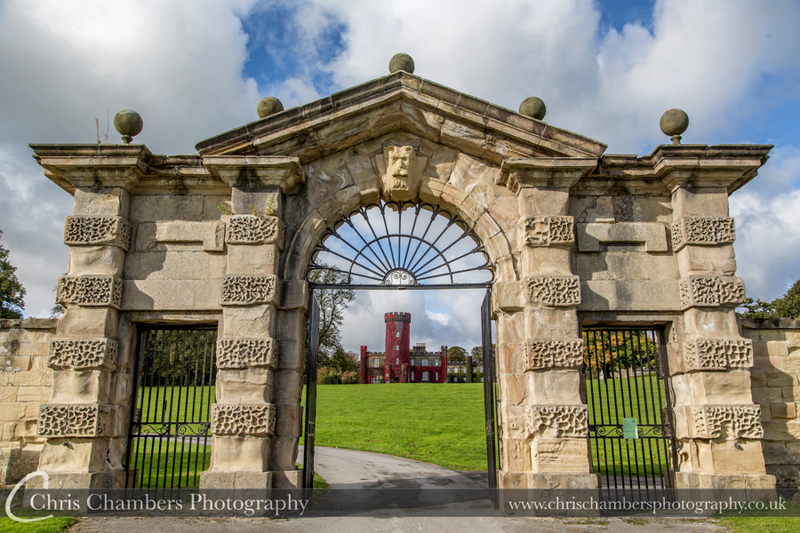 Autumnal colours at Swinton Park. 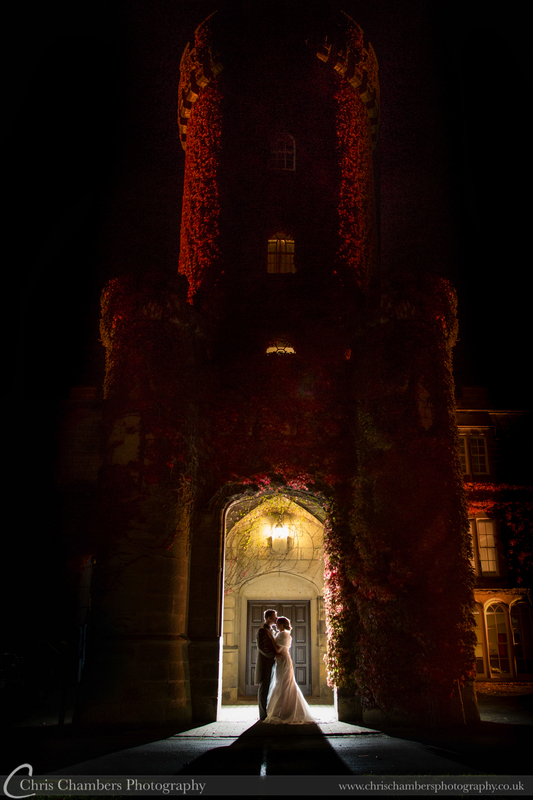 Bride and groom with the Turret backdrop. 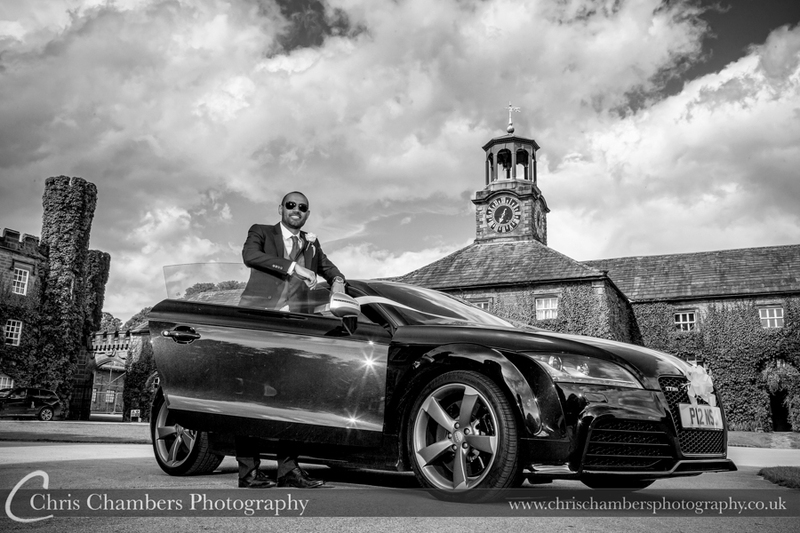 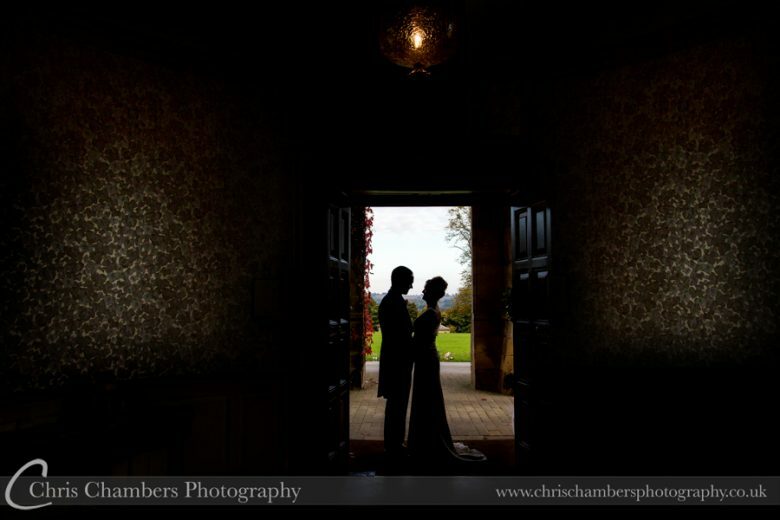 Wedding photographer at Swinton Park. 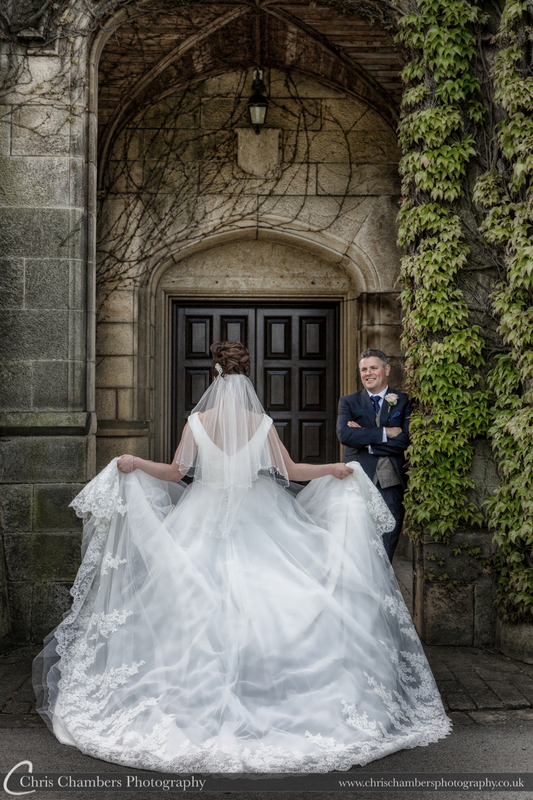 Swinton Park features many photography locations inside and out, guaranteeing amazing wedding photographs whatever the weather, time of day. 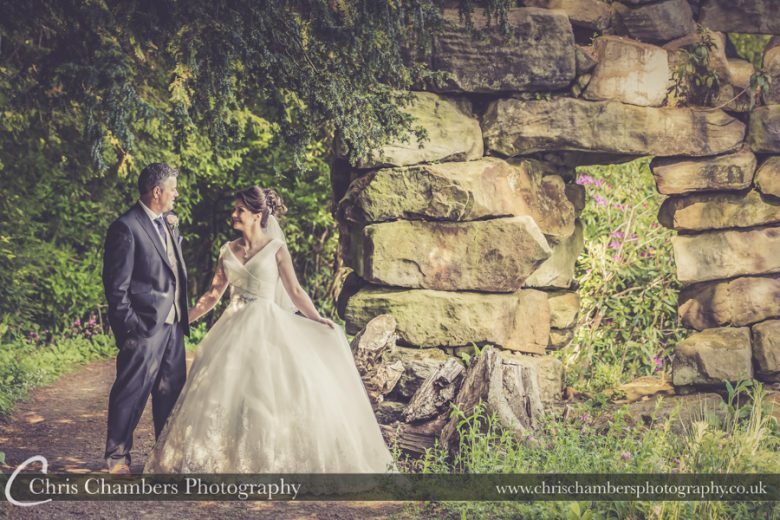 As an experienced wedding photographer at Swinton Park, you can be assured that I am aware of and know the best locations. 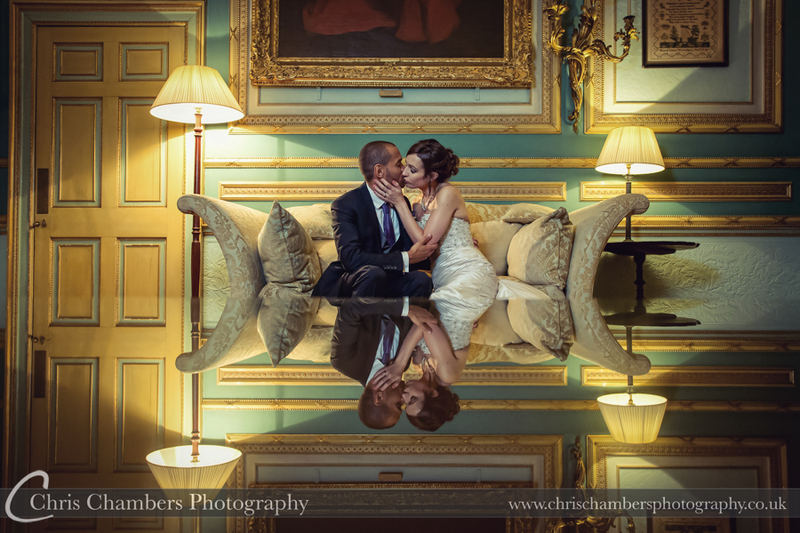 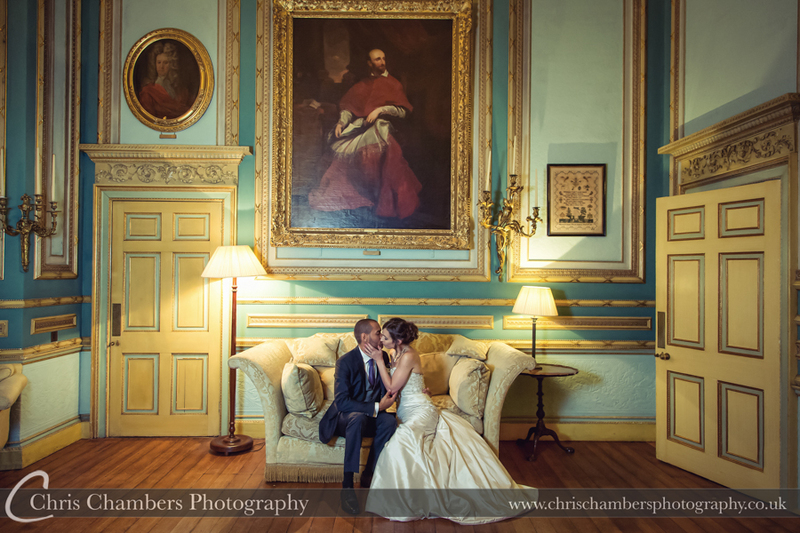 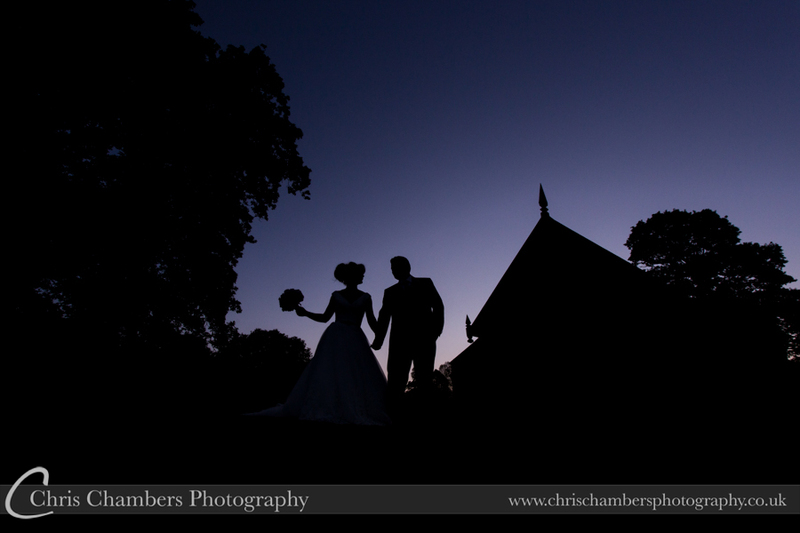 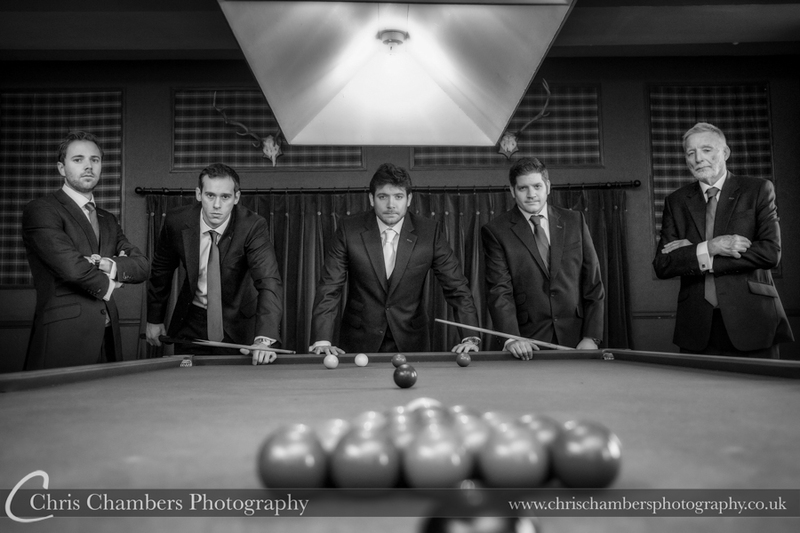 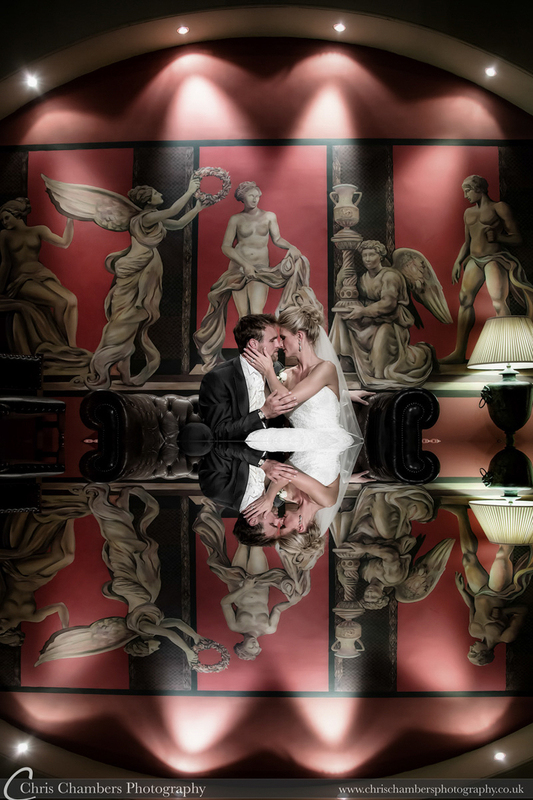 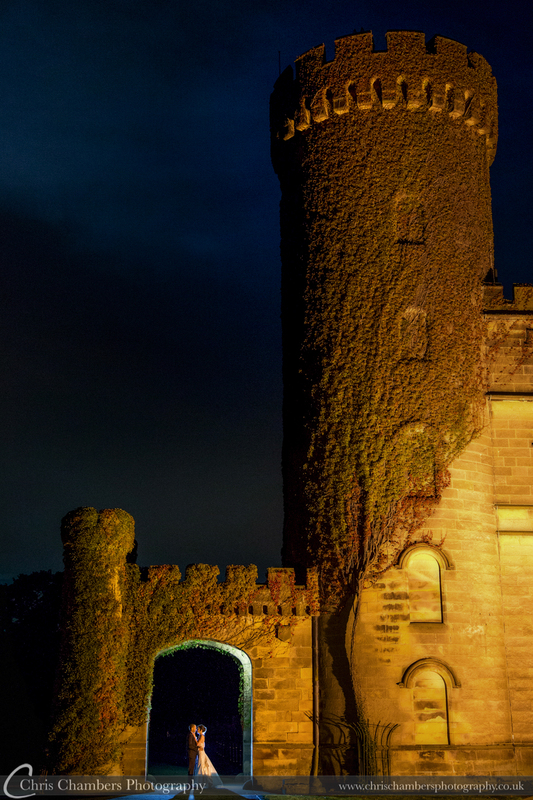 All Swinton Park wedding photography packages include the opportunity for after dark Night time wedding photographs.